Beatbox Philippines, comprised of Josef Amarra, Picoy Cruz, Isagani Carlo David and Ian Somosa is a group of individuals dedicated to the art of beatboxing. The four are some of the countries most seasoned and talented beatboxers, performing either as individuals or as a group covering a variety of genres of music, from hiphop to drum&bass, offshore to OPM. With such a rare act and such appeal and charisma it is rare that they do not leave the crowd jumping, cheering and asking for more; in awe and amazed at what four guys and their mouths can accomplish. These guys surely go beyond the boundaries and the limits of the human mouth. 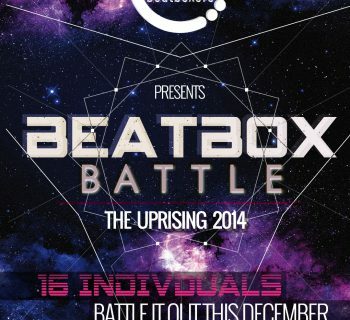 Beatbox Philippines has been in the forefront of representing the artform in the Philippines. They have appeared in different shows both on TV and Radio as well as performances in some of Manila's finest clubs and live houses. Beatbox Philippines also aims to build up the community of beatboxers in the country. They recognize themselves as members of The Filipino Beatbox Community a group that the founding members of Beatbox Philippines also put up.